London’s monthly free-thinking comedy club brings you..
Self-described ‘lazy Woody Allen’, now resident in Peckham, takes unpredictable swings at politics and life in classic Noo Yawk style. Original, provocative and exceptionally prolific – Baptiste is being hailed as one of the most exciting acts to break in years. This London-born stand-up has quickly established himself as an acute social observer. He dives into some serious politics, but with a keen sense of fun. Joe Jacobs is a London based comedian, rapper and writer. He has performed with comics including Bill Burr and Mr. Motivator. His live shows flit between hip hop and comedy and he’s gained millions of viral video views online. 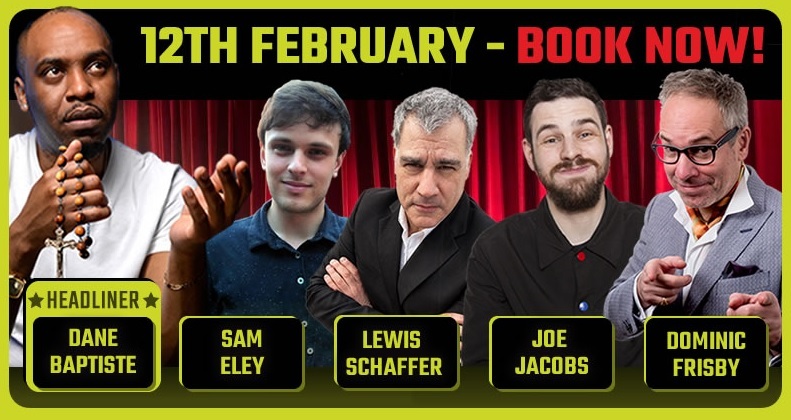 Up-and-coming comic – semi-finalist in ‘So You Think You’re Funny’ and Leicester Square New Comedian of the Year.